How does it go about tracking one’s heart rate? This is made possible through the dynamic continuous in-ear heart rate monitoring sensors that have been integrated right into the buds themselves, enabling one to remain hands-free while being in the optimal heart rate zone during intense training sessions. 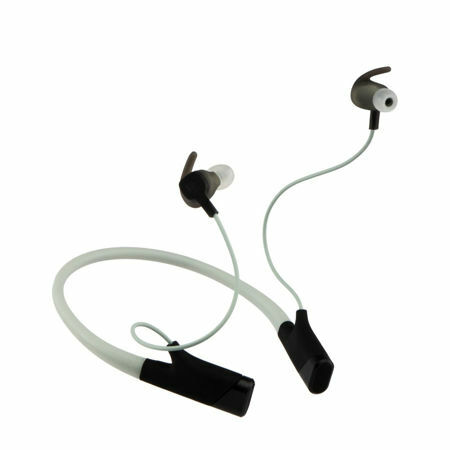 With a behind-the-neck design, listeners are able to remove the buds from their ears and allow it to hang around the neck, doing away with the old problem of dealing with a mess of tangled wires. Sporting a 9.2mm dynamic speaker, it is more than capable of handling all kinds of music genres with consummate ease. Making use of the highly reliable 4.1 Bluetooth technology, the BeActiv S100 will deliver real-time streaming of the wearer’s heart rate complete with voice updates, letting you work out continuously without having to refer to your smartphone or device. A full battery charge offers up to 8 hours of non-stop playback time, and it takes just 1.5 hours to obtain a full charge for an empty battery. Arriving in striking new colorways that include Electric Black and Mandarin, you can be sure that you will look good the next time you hit the gym or pound the pavement while wearing a pair of these.